Now that the Year of the Monkey is well and truly upon us, just one or two personal reflections on the New Year celebrations in ESF schools seems appropriate. As this was my first ever Lunar New Year in Hong Kong or anywhere else for that matter I wasn’t sure what to expect. The event I attended at Sha Tin College was a fantastic showcase for the many talents of both students and staff and was very well received by the whole school community. I learned a great deal about Chinese culture and I thank the students and staff for their wonderful welcome, all were very kind in responding so positively to my ‘kung hei fat choi’, even if the accent was confusing. The ESF celebration at KGV was also a memorable event with several thousand participating on an amazingly hot and sunny day. Again the quality of performance was stunning and I am still perplexed by the ‘face changer’ routine. Dr Wickins was right when he said I wouldn’t be able to fathom how he did it (the face changer, not Dr Wickins!). MYP implementation discussions with school Principal’s and leadership teams are progressing well. The CEO and myself have been exploring the views of individual schools around the themes of timescale, resource implications and communications. These meetings have been really positive and are still ongoing. I shall produce an updated document to be shared with schools prior to the Easter break. The key messages are that there is no imposed timetable and that this will be a planned, phased implementation focusing on transition opportunities as students move from PYP in Y6 to MYP in Y7. Both Belinda and I have been impressed by the positive comments to date and it is clear that colleagues in schools are looking forward to embracing the opportunity to build on the work of colleagues in primary schools and ensure an exciting and challenging curriculum is developed. Other dialogue with school Principals and senior leaders has taken place around opportunities to restructure the current ESF education team so as best to align with the vision and goals of the strategic plan. There is also an opportunity to look at the needs of the foundation moving forward, the feedback and discussion to date has been really helpful in shaping new roles and responsibilities. At the time of writing there are still further consultation meetings to take place. I shall make sure schools are aware of changes and also of staff roles and responsibilities as this process continues. This prompts me to remind colleagues in schools that Jonathan Straker will be leaving ESF next month, Jonathan has been in Hong Kong since taking up post at Bradbury School in 1984. 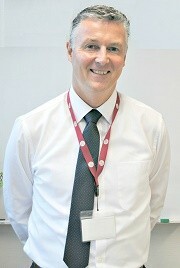 Jonathan has taught in a number of other ESF schools with VP roles at Beacon Hill School and Glenealy School. He is known to practically everyone across the Foundation and I take this opportunity to both wish him well and remind colleagues to be aware that a number of farewell events are planned. I visited Hong Kong Institute as part of the New Year events. I was reminded of the fantastic facilities and also that over 30 ESF students are currently part of the elite athlete’s programme at the Institute. This prompts me to acknowledge the following students from South Island School who have featured in press releases since my last blog. Well done to Kikei Fung, a swimmer in the Mainland’s first National Youth Games, Triathlete Yehudi Chan for his efforts in the Standard Chartered Marathon, Emily Wong as one of the only four sailors chosen to represent Hong Kong in China’s First National Youth Games and golfer Estee Vivian Leung, a winner on the Hong Kong Professional Golf Association tour last year. Well done to all. Just a final footnote in relation to the New Year celebrations. It was also a first to experience a drum accompanied lion dance into my office and hurl a lettuce in my direction, this I was not expecting. However, I clung on to what I could and wondered if this was just the ‘tip of the iceberg’. Translation may be required!